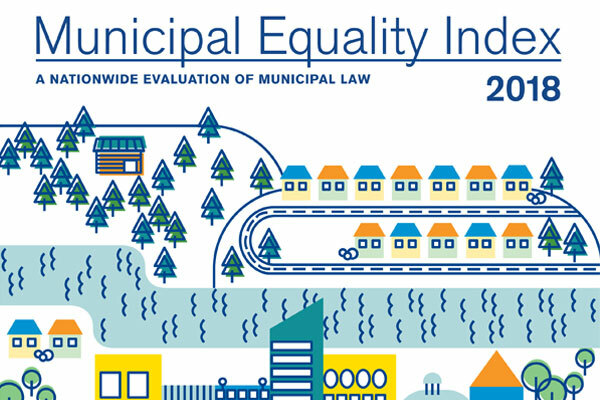 Now in it’s seventh year, the MEI scores 506 municipalities based on 44 criteria including nondiscrimination laws, the municipality as an employer, municipal services, law enforcement and the city leadership’s public position on equality. “From San Antonio, Texas to Brookings, South Dakota — this year’s MEI again proves that there are no barriers to municipal LGBTQ equality for a city with dedicated, pro-equality elected officials,” HRC President Chad Griffin said in a press release. 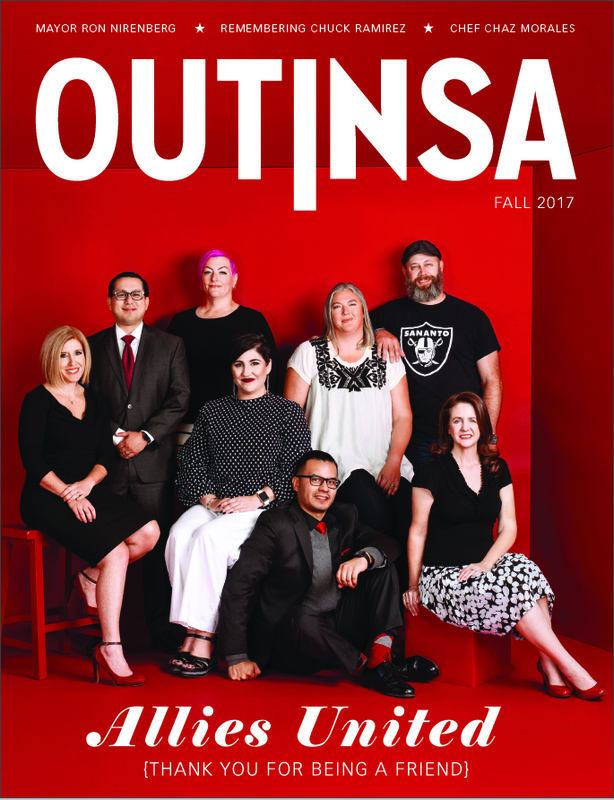 “Forward-looking leaders across the U.S. are stepping up, protecting their youth from so-called ‘conversion therapy,’ increasing anti-bullying protections, ensuring transgender city employees have access to inclusive health care benefits and protecting LGBTQ people from discrimination in all areas of life,” Griffin added. For the past two years, San Antonio has scored 95 on the MEI. The city’s score has fluctuated from a low of 48 in 2012, to 86 in 2013, 72 in 2014 and 90 in 2015. 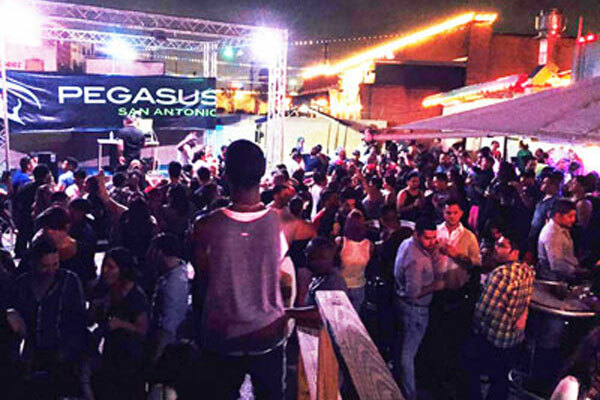 The cities of Dallas, Austin and Ft. Worth also received perfect scores. Houston, the largest city in the state, got a score of 70. Laredo received the lowest score of zero. 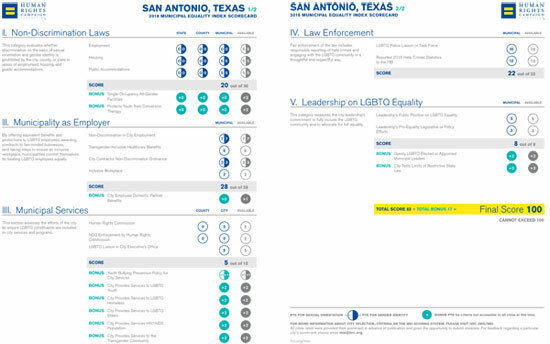 Following is the list of Texas cities’ scores on HRC’s 2018 Municipal Equality Index.